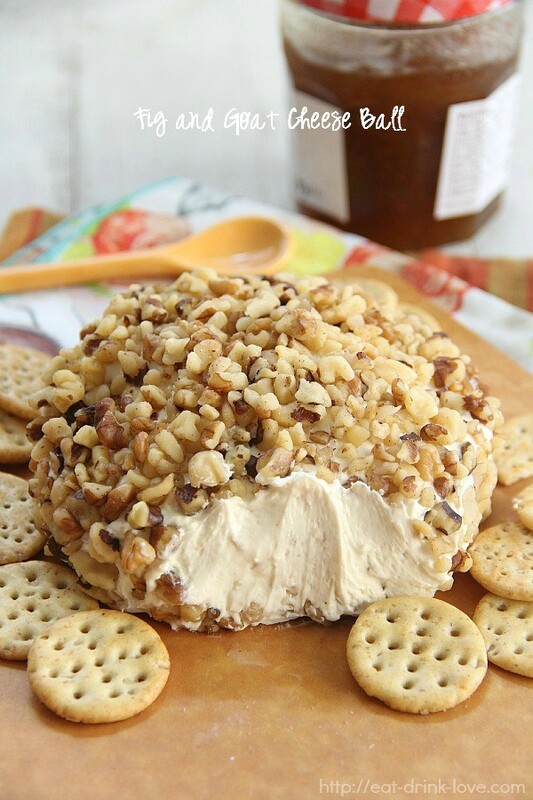 Fig and Goat Cheese Ball - Eat. Drink. Love. You guys, I’m SO excited about today’s post! 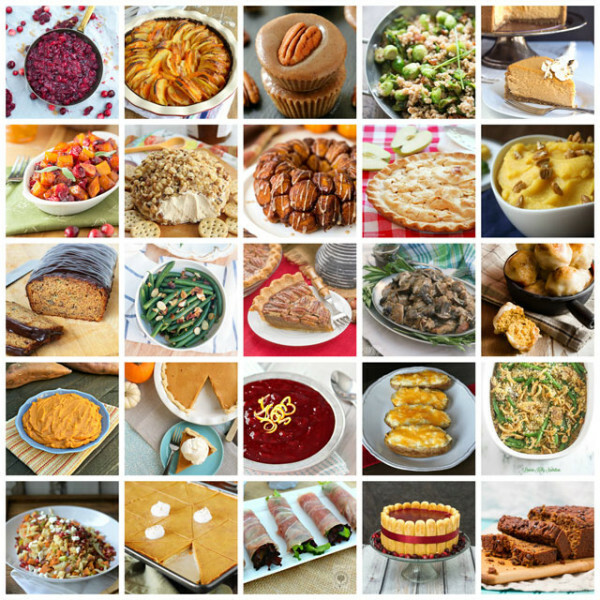 I’ve teamed up with 24 other bloggers to bring you 25 perfect recipes to make for Thanksgiving including appetizers, sides, and desserts! I decided to make an appetizer. 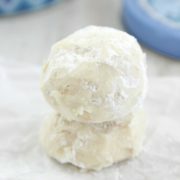 You guys loved my Cranberry Pecan and White Cheddar Cheese Ball, so I thought I’d try a new cheese ball recipe! 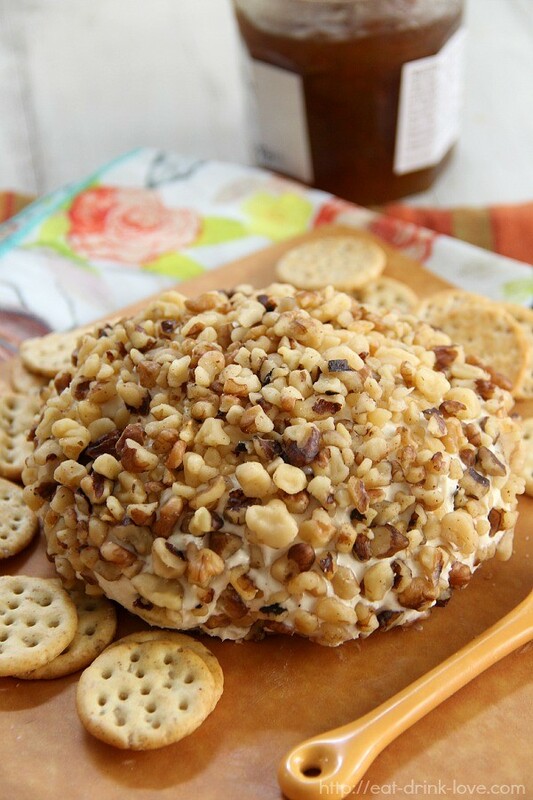 This Fig and Goat Cheese Ball is so perfect for any holiday gathering. 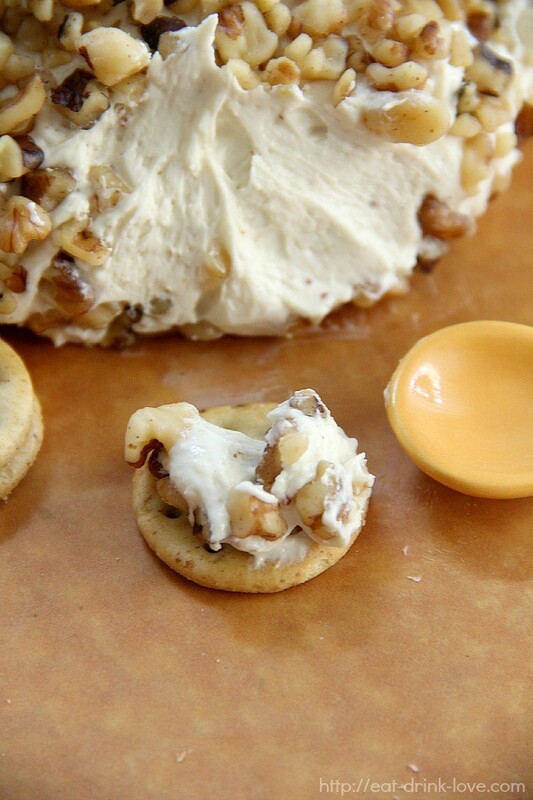 It only requires 4 ingredients: Cream cheese, goat cheese, fig preserves, and walnuts! It’s also really easy to mix up in a food processor and you can prep it the night before too. 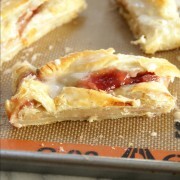 I am madly in love with the sweetness from the fig paired with the tangy goat cheese! Add the goat cheese, cream cheese, and fig preserves to the bowl of a food procesor. Blend until smooth and just combined (be careful not to blend for too long or the mixture will get too liquidy). Place a sheet of plastic wrap on the counter. Use a spatula to transfer the mixture in a pile in the middle of the plastic wrap. Wrap up the sides, forming the mixture into a ball shape. Place onto a plate and refrigerate for at least 3 hours, if not overnight. Add the walnuts to a shallow bowl. Remove the plastic wrap and gently place the ball into the walnuts, gently rotating it to coat with the walnuts. Place onto a serving dish or cheese board. Fill in any gaps with additional walnuts by hand. Serve with crackers. 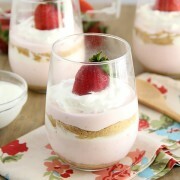 Check out all of the other great recipes my friends made! I’m hooked on goat cheese, thanks for an interesting flavor combo. Will be trying this soon and again when you send on my win….lol. 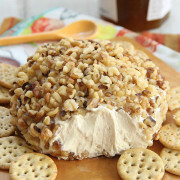 Love the fig and goat cheese combination but I have nut and peanut allergies in my family – what can replace the walnuts in this recipe? Elsie, I think you could coat the cheese ball in some crushed or roughly chopped crackers.